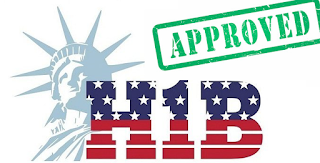 The H1B visa is a nonimmigrant visa that allows US companies to employ highly skilled foreign workers in various specialized professions. Please find the list of H1B Interview questions for software professionals given below. These questions are the same for almost all IT companies such as Cognizant, TCS, Accenture, Wipro, Syntel, Capgemini, etc. There is no limit for applying H1B Visa Interview. If you are failed in H1B Visa Interview which is happened in Chennai, you can try for another time in Hyderabad by paying the Visa fee again. So, prepare for some basic questions and attend the interview in US consulate. Where are you going to work in the US? Which place? Answer: Most of them work in client location. Anyway, check your petition for this information. Mention the name of the place and the city you are going to work. What is your pay/salary in the US? Answer: Mention as per your petition. Do not lie. This will create a bad impact. Answer: Tell the highest degree qualification, also tell If you have any degrees from other countries like the US and mention the f1 visa details. What product/project do you work on? Answer: Mention the details of your current project and how long you are working on it. This makes an officer understand how crucial you are in the project. Answer: Mention the details of the prospective US employer. If you are coming from a very small company, contact your project manager or Delivery Manager for these details. Answer: Applicants must answer correctly and must provide general details of their trips if they have already done so. Since how long you married? Answer: Mention the number of Years and months. If you want to go with your dependents, then H-4 visas are available. Apply for an H4 dependent visa for your spouse and children, and then make an appointment at the US Embassy. They will ask to see proof of your weddings, such as pictures and a marriage certificate. If the immigration officer is satisfied with your answers, all of you can fly happily. Also, note that Spouses of H1B Visa holders are not allowed to work in the United States. Most of the questions asked to your dependents are simple and general questions. Be so confident and respond well.